Did you love Terminator? Did you follow DC Comics for Cyborg? Did you love Van Damme’s performance in Cyborg? This indicates that you are a techno-freak. 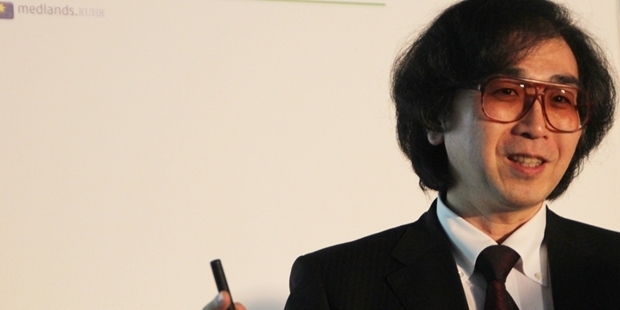 You love the idea of biology and physics mashing up with technology for the good of the human kind.These are the thoughts that popped in the genius brain of Yoshiyuki Sankai, when he was a kid. He would play with his toys and when their limbs broke, he would replace them with screws, forks or a spoon. This unusual child behaviour, encouraged by his parents, led to the making of the billionaire mega-mind behind the real Cyborg. Yoshiyuki was fascinated with the thought that real, flesh and blood, can be replaced with unreal ones that would perform as accurately as the original. To learn about the functionality of artificial body parts, he studied engineering from University of Tsukuba in Japan. Later, inspired by Hollywood movies on robotics, he invented a robotic suit called HAL i.e. Hybrid Assistive Limb. 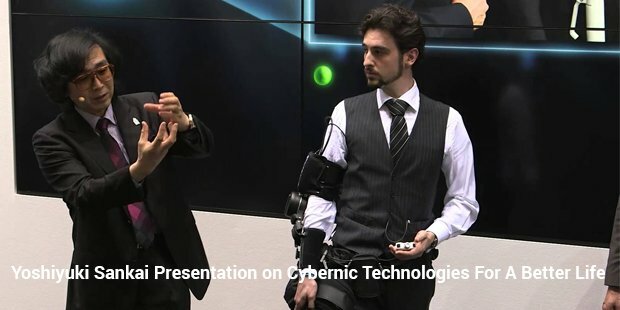 HAL is an artificial limb technology that can captures signals directly from the brain and functions as an independent body part. These can be arms or legs. He also invented Cybernics, a wing to HAL that provides medical care and welfare units to hospitals across the world. It was in 2006, when he was confident of his invention that he called a conference to showcase a demo of HAL to the Council of Science and Technology, the PM and some senior government officials. 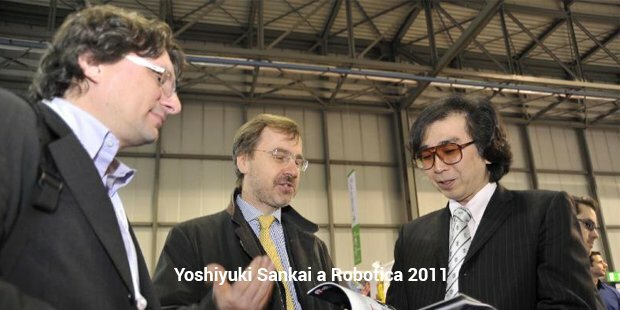 They were impressed with HAL and shared the vision on the future of artificial body parts that can be produced in Japan under the guidance of Yoshiyuki. Today, Cybernics supplies to multiple medical care centres across the world for the purpose of better mobility of disabled patients. Though as fancy a thought of replacing a limb with robotics, this is an expensive option and can be afforded only by the rich. Each unit is about $1, 50,000 and weighs upto 80pounds approximately. This issue of restricted availability, performance and price is considered by Yoshiyuki. Therefore, at least for charity and also to increase the production to lower down costs, he has made this available at a best price to the elderly in Japan. This initiative to provide a limb and not a stick to the elderly has grabbed attention from media across the world. He even commented saying that he sees HAL to be treated as regular glasses that one wears, it’s easy to use, cost efficient and readily available. He also compared HAL to Google glass, though they serve a different objective, they are still an aid to the body.Yoshiyuki has won many awards including the ones for the best inventor of the century.